Does anyone have any photographs of Queenslie when it was still a housing estate? My mother lived there but we just have a small selection of family photographs, and unfortunately (or not!) the area has been demolished and the industrial estate enlarged. Ive heard a rumour that Queenslie wasnt meant to be built, that it was all meant to be industrial - hence the demolition of the homes now and the re-installment of the industrial estate. I lived in Ruchazie for years and passed Queenslie on my way to school for 4 years. Sorry I don't have any photos of the area but it may be worth contacting the local housing office to see if they took any photos before the area was demolished. Many Housing Managers tried to ensure that they recorded an area prior to any work being carried out. They may also have had photos from activities that they were associated with like Garden competitions, Gala/fun days etc. Queenslie was built in the 1950s along with the rest of Greater Easterhouse. The biggest subsequent change was building of the M8 motorway in the 1970s which severed Queenslie from Garthamlock to the north. It was demolished round about 1997. 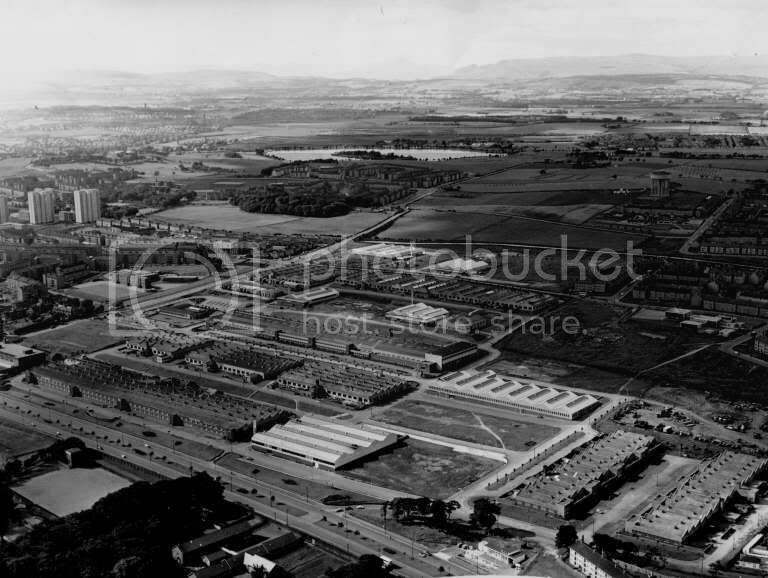 From the Virtual Mitchell a photo of Queenslie Industrial Estate before the motorway cut Queenslie from Garthamlock. The housing estate was just out of the picture to the right hand side. My friend lived in Queenslie. I'll check if she has any photos. I remember going up to Queenslie Industrial Estate when learning to drive. You could do three point turns and reversing without the risk of crashing into others! My mother in law worked in the Olivetti factory which shut years ago. My dad took me there when 'learning' how to drive too, you would often pass other learners while there.